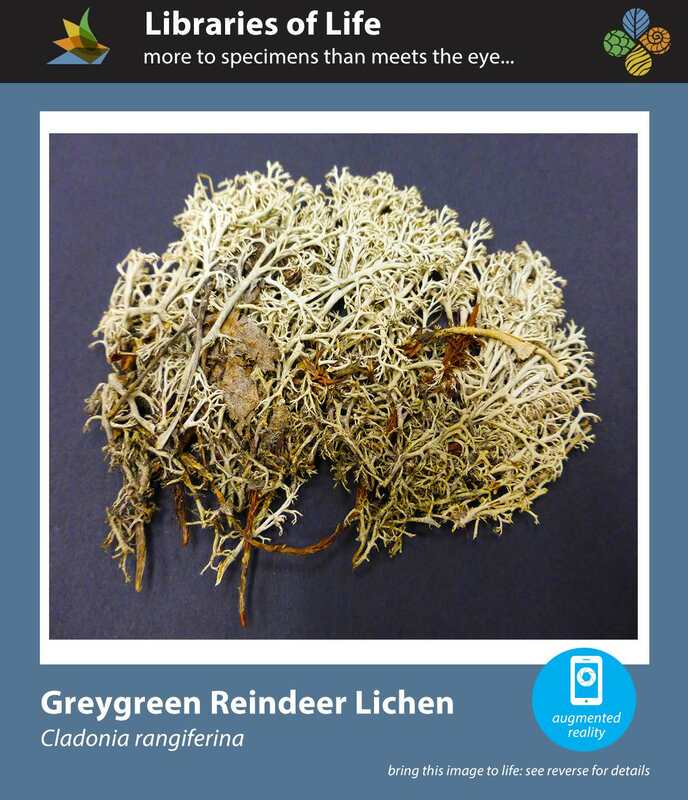 Greygreen Reindeer Lichen: DID YOU KNOW? Digitized Cladonia specimens in biological collections. Reindeer lichens grow in extremely cold northernmost regions of the globe, where they cover the ground like carpet. These lichens are a primary food source for caribou, also known as reindeer, hence the lichen's name. Population fluctuations of reindeer lichens are linked to factors such as climate change, habitat loss due to land conversion, fire, and grazing. Being highly sensitive to environmental conditions, lichens are excellent candidates for bioindicators of climate change. Though widespread and relatively abundant in North America, one species of reindeer lichen, Cladonia rangiferina, is declining in parts of its global range. Herbarium specimen records, which often include lichens, provide a window into the past through which scientists can study the impact of climate change and discover patterns of biodiversity on Earth. The goal of the Consortia of North American Lichen and Bryophyte Herbaria is to provide a comprehensive, data set of North American lichens and bryophytes in order to advance scientific research and promote education. These efforts have made 3 million records from 89 different collections discoverable online.